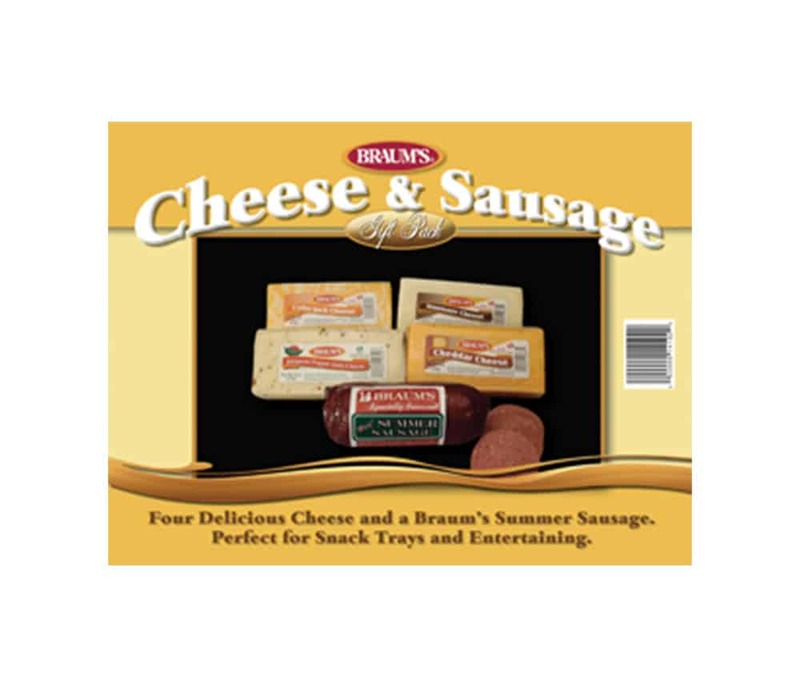 Give the gift of good taste during the holidays with Braum’s Sausage and Cheese Gift Pack (offered from November through January). Our seasonally-offered meat and cheese gift box features a carefully curated selection of premium half-moon cheeses and our famous Braum’s Summer Sausage (hickory smoked). Our meat and cheese gift packs come in a sturdy attractive gift box so that means – no wrapping!